TimelyPrint is our in-house telecom invoice printing and mail service. 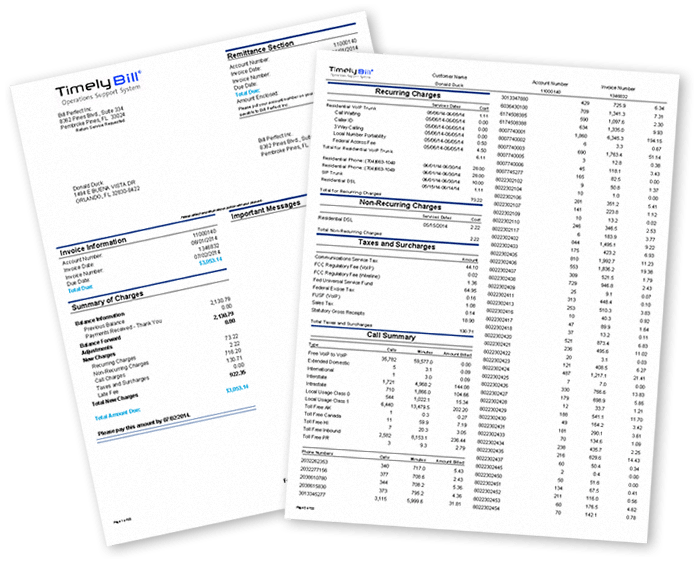 Affordable — The most important feature of TimelyPrint is its cost. Efficient — Automated invoice generation for existing TimelyBill customers. Fast — Processed, sorted and in the postal system within 1 business day. Secure — We are SSAE 18 (SOC 1) Type II Certified. Flexible — Unlimited invoice template designs and layouts for multi-tenant organizations. Whether you're a TimelyBill customer or not, we can handle all of your invoice printing and mailing needs.